Saudi-based Zahid Group said one of its subsidiaries Omas has reached an agreement with The Greencells Group, one of the biggest providers of solar photovoltaics (PV) power plants in Europe, to acquire a 50 per cent stakee in the company. A leading player in the solar PV plant sector, Greencells develops, builds, operates and finances utility-scale solar projects. With a track record of more than 1.3 GW of capacity for over 100 individual projects in 25 countries, the German group is trusted by many key players in the industry, said a statement from the company. From its roots in central Europe, Greencells has built a substantial presence expanding into the US, Asia Pacific and the Middle East, it stated. This includes the supply of the mounting system and construction services for the world´s largest solar power plant, the 1.2 GW Sweihan project in Abu Dhabi, which is currently under construction, it added. Andreas Hoffmann, the co-founder and CEO of Greencells, said: "This transaction is an inflection point for Greencells. In Zahid Group and Omas, we have found a highly reputable and strong partner, whose strategic vision and values align well with ours." Hoffmann pointed out that he, along with his partner Marius Kisauer, had so far developed and grown the company to its current position without any third-party investment. "This investment from Zahid Group substantially strengthens Greencells´ balance sheet and enables us to embark on new strategic opportunities," he remarked. "With a solid financial base, we can further strengthen our global footprint, serving more customers with our hallmarks of flexible, modular services, a high-quality product and lean operations to respond quickly in a competitive market," said the group co-founder. "In close collaboration with our new partner Zahid Group and Omas, we will continue in our mission to make utility-scale solar the world's cheapest and most scalable power source," he added. On the strategic deal, Majid T Zahid, group president (energy), said: "Zahid has an extensive history as a leading provider of power solutions in the Middle East and Africa region, through the various energy-related companies under our group." Solar energy, he stated, was the ideal complement to the group's conventional power solutions. Zahid pointed out that the Saudi group had been actively looking for partners to help fulfil its bold ambitions in the renewables sector, which would be the key future growth driver for power globally. "We are pleased to have found a capable management team in Greencells, with an impressive global track record, and look forward to jointly realising growth and success in this burgeoning industry," he stated. 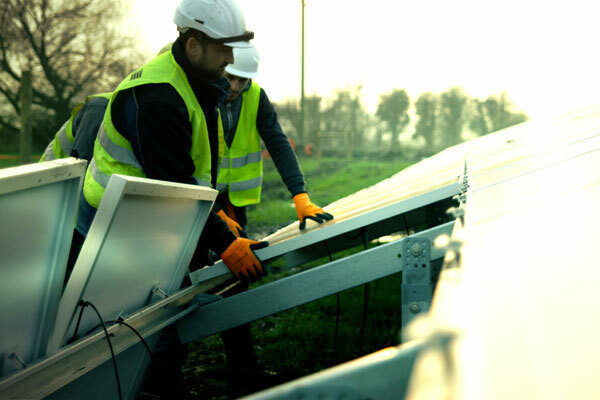 Since 2007, the German group said it has built over 110 solar plants in 25 countries worldwide - including the UK, Maldives and the Philippines - and will continue its successful strategy of delivering services out of four regional hubs to serve the growing demand for solar and hybrid power solutions.